The train, which runs between Delhi and Varanasi, was flagged off by Prime Minister Narendra Modi on February 15. On February 22, the train’s aerodynamic nose, which is made of steel with a fiber cover on it, was damaged severely and had to be replaced after a bull collided with it headfirst. A day later, the driver’s windscreen and windows of some coaches were damaged after flying ballast hit it. 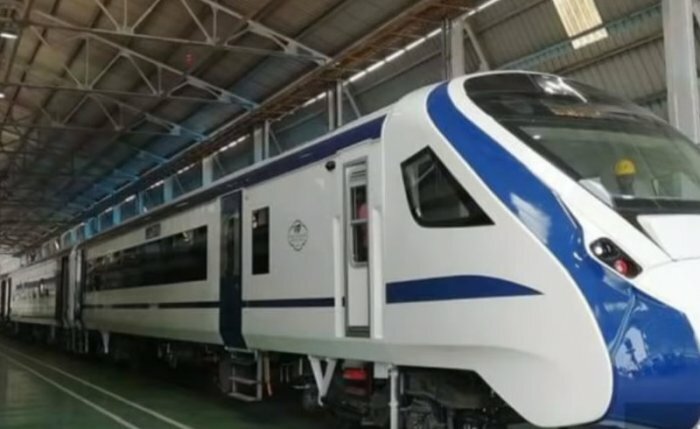 The exterior of the Vande Bharat Express, also known as Train18, has been installed with cameras to detect and curb stone-pelting incidents and prevent damage to the country’s first semi-high speed train. According to a Hindustan Times report, frazzled by the repeated incidents of stone-pelting since the train started commercial operations in February, Indian railways installed four cameras on the train. As many as 12 window glasses of the engineless train have been replaced so far. “On March 17, another incident of stone-pelting happened and we took help of camera. The cameras helped us identify the area from where stones had come…,” the director general of Railway Protection Force (RPF) was quoted by HT as saying. RPF is an armed force entrusted with protecting passengers and railway properties. NEXT POST Next post: Awwwww! How many guys will have the guts to thanks their girlfriends like this IAS topper ? Super cute!